We are offering battery repairs & preventative maintenance at Muller Honda of Gurnee. Your vehicle's battery is what makes the machine go, so to say it's important would be an understatement. Were you aware that you can provide preventative maintenance to your battery? By stopping in and getting battery diagnostics, you can save yourself from being stranded in a parking lot, frantically waiting for AAA. When you bring your battery in for diagnostics, you will learn things from our service team. For instance, did you know that the weather can impact your battery life? Whether or not you store your car in a cool, dry place makes a difference. Other practices such as plugging in many accessories, the vibration from rough roads, and frequent trips also impact battery life. 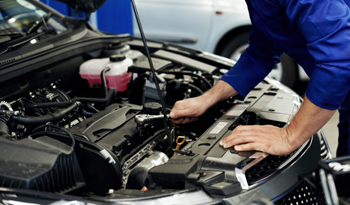 Prolong your car battery's life by scheduling service online and bringing your vehicle to us. It is our pleasure to keep your vehicle energized for years to come! The next time you need a premium service, choose us. Our skilled service technicians will inspect your Honda’s battery, ensuring its health. If we notice any leaks or performance issues, we will walk you over to our large selection of battery options. Please note that all of our service professionals are certified, meaning they have the expertise needed to work on your new or pre-owned Honda model. We also carry advanced battery testing tools, which will help us determine the status of your battery. We know how to work on a variety of makes and models, which will ensure longevity for your vehicle. Choose the service team at Muller Honda of Gurnee. Switching out one's car battery offers many positive effects. Your engine will gain more power than before, which will showcase in your vehicle's performance ratings. 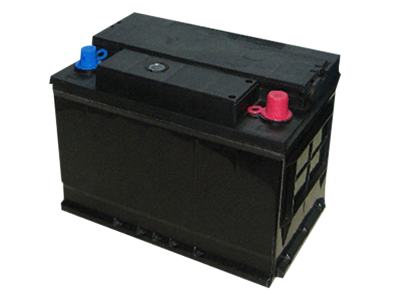 Putting in a new battery also stabilizes the power within your vehicle. In contrast, leaving your battery unchecked can have many impacts on your vehicle's health. If there's a leak, battery acid can spill onto prime components, leaving you with a more costly and lengthy service appointment. Battery diagnostics prevent future issues. By bringing your vehicle in to us, we can help you diagnose issues at early stages, such as excessive accessory use. Keeping up with your battery services does nothing but benefit your vehicle. Bring your battery problems to us –– we're ready!